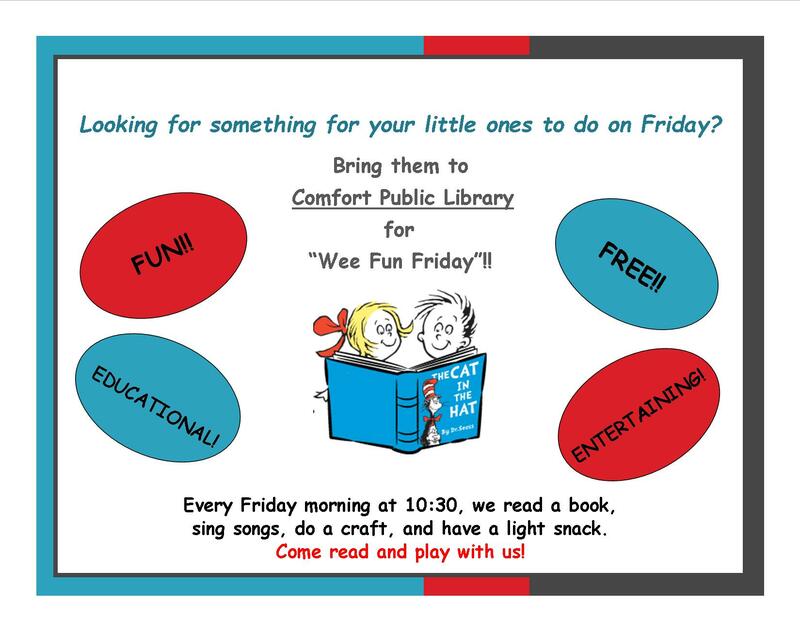 Every Friday morning at Comfort Public Library we have a great time with children up to age 6. With a different theme every week, your children can have fun with you and with other children in a delightful, casual setting. Come join us!